Brandi Daniels, also known as a Community Connector, Dream Doula and Event Planner; is the creator of Eat.Drink.Yoga. 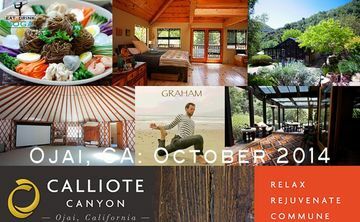 a boutique yoga retreat and event planning company. Her yoga path began in her early 20s, when she was introduced to Hatha yoga. Her first teacher, Andrea Brook set the foundation and level from which all other teachers would be measured by. In yoga, Brandi found strength, courage and a true love of self. With the help of amazing world renowned teachers such as Andrea Brook, Joe Barnett, Sharath Jois, and others she overcame depression, eating disorders and fear. Every time she steps on her mat she is saying yes to her life, yes to living her dreams, yes to living a life full of passion, love and undying gratitude for every breath. Knowing what yoga has done in her life, Brandi has made it her mission to introduce as many people as she can to yoga. To get them moving, stretching, and reaching for something more – a connection; Yoga gave Brandi a connection to her mind, body and spirit; it also gave her a connection to this amazing community. A community she looks to help grow and be apart of for a lifetime. Brandi is also Vice President of YES for Yoga a non-profit that provides yoga education for teachers and acts as a resource for yogis in the community providing access to classes, workshops and teacher trainings to those who may not be able to afford it. They also offer Yoga for Recovery classes and Wounded Warrior yoga. In her spare time, Brandi is also a writer for two blogs called, Yogi Gypsy – where she talks of her practice, traveling, and experiencing the world as a yogi and adventurer; and The Yogi’s Kitchen where she shares delicious recipes and cooking tips all based on being mindful in the kitchen, cooking joyously and eating consciously.